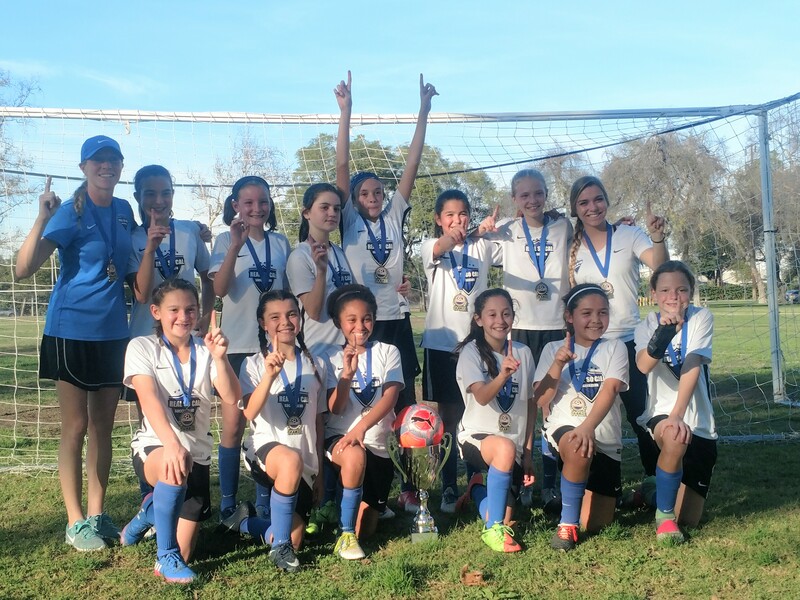 RSC-SCV G2006 White are 2018 LB Winter Invitational Champions!!! The Girls 2006 White team, under brilliant guidance of Head Coach Aly Drake and Assistant Coach Hannah Bahr, started 2018 with a bang! The team, in fact, won the 2018 Long Beach Winter Invitational Tournament, their first tournament of the year. The girls fought back from a "rusty" loss on Saturday (following Winter Break and only one practice), to win 3 games and earn the Girls 2006 1st Place Champions Trophy. In their final game on Sunday, the girls took an early 1-0 lead, but then allowed the opponents (Pateadores) to score 2 and take the lead. In the second half, the Real So Cal-SCV girls equalized. In the last minute of the game, Gianna Vrooman headed the ball into the goal off of a beautiful long throw in from Mallory Palm to win the tournament! Congratulations girls! We are proud of you!! !